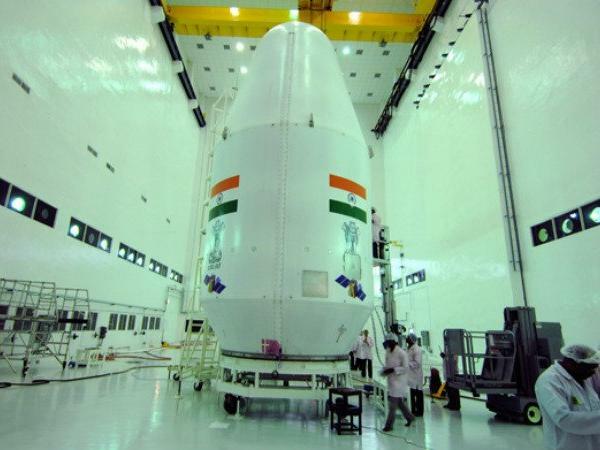 Washington, March 25 (IANS) India’s second moon mission Chandrayaan 2, scheduled for launch in April, would be carrying a NASA science probe, the media reported. Chandrayaan 2 will carry NASA-owned laser retroreflector arrays that allow scientists to make precise measurements of the distance to the Moon, the US space agency officials said, during the Lunar and Planetary Science Conference held in Texas, the space.com reported. “We’re trying to populate the entire surface with as many laser reflector arrays as we can possibly get there,” Lori Glaze, Acting Director of the Planetary Science Division of NASA’s Science Mission Directorate was quoted as saying. Glaze did not provide a timeline for the partnership’s creation. “We were asked rather quickly if there was anything we wanted to contribute to that lander, and we were successful in roughly a two-week time period to come up with an agreement on it,” said Steve Clarke, the deputy associate administrator for exploration within the Science Mission Directorate. Retroreflectors are essentially sophisticated mirrors. Scientists on Earth can shoot them with lasers and study the light that is reflected back. That signal can help pinpoint precisely where the lander is, which scientists can use to calculate its — and the Moon’s — distance from Earth. The Rs 800-crore Chandrayaan-2 mission comes a decade after the maiden mission Chandrayaan-1 was launched on October 22, 2008 from India’s only spaceport at Sriharikota in Andhra Pradesh. When Chandrayaan-2’s rover lands on the Moon, India will become the fifth country in the world to achieve the feat after Soviet Union in 1959, the US in 1969, China in December 2013, and Israel in 2019.